It’s time to look at another beach movie. Unfortunately this one doesn’t break the trend of this genre not being particularly good. There’s not a whole lot to work with to start here and the film isn’t exactly going to be winning any Oscars for its writing. No, the film needed to try and win on its own merits and unfortunately it was a losing battle. You can pretty much tell how this film is going to play out from the start. 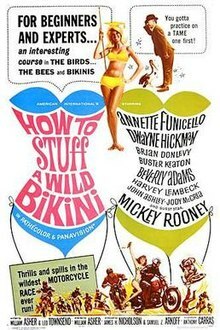 The film starts off with Frankie going to an island for 3 weeks. He begins to cheat on Dee Dee with the locals over there but then begins to worry that she may be doing the same thing. He hires a witch doctor and some spellcasters to try and prevent this from happening by creating a super model who will block Dee Dee at every turn. This plan works for a while, but then local advertising star Ricky shows up to try and steal Dee Dee away. She wants to stay loyal to Frankie but the more she hangs out with him the more she starts to lose her morals. Can she stay strong or is Ricky right in saying that everyone cheats eventually? From the start you can see how the plot is pretty dicey. Frankie cheats on Dee Dee in pretty much every film. It’s nothing new and while she gives him a stern talking to he never actually feels bad about it. Even in this film he flat out says that it’s okay for guys to cheat while it isn’t for girls. If he actually believes that then this makes him look even worse as a character. Dee Dee definitely shouldn’t be putting up with this and the fact that she does is most unfortunate. Naturally this doesn’t excuse her from staying true to herself, but it does make you think she should just get over Frankie and find someone else. He strikes you as the kind of guy who’s fairly possessive and not in a good way. Then you have Ricky who isn’t really any better. He’s very persistent, but that’s where his good traits end. When Dee Dee tests how serious he is, the guy fails. He’s also very quick to move on from her to the next person so you really can’t say that he is super sincere. He would be cheating on her just like Frankie. It’s unfortunate, but this is why Dee Dee can’t trust any of these characters. None of them are trust worthy and they aren’t afraid to admit it. There’s really only one good scene here and that’s a fight scene that occurs midway through the film. Van Zipper hires a local thug to scare off Ricky and his entrance is admittedly pretty good. He just crashes in through the ceiling and the fight begins. In Ricky’s defense he is actually putting up a good fight. It goes back and forth for a while until Dee Dee steps in. I was surprised to see an action scene that was actually handled fairly seriously so that was pretty cool. I suppose the race scene at the end also wasn’t bad. Any scene away from the beach is certainly a good thing so no complaints from me there. Of course, the film’s score was already dead by this point. There was just no recovering from all of the beach moments. The film is essentially one long fanservice scene. The camera work ensures this and half of the time there isn’t even a plot in the movie. It’s just all of the characters acting dicey and buying time until the film ends. There’s even a very long stop motion scene at the beginning that was added to fill in time. 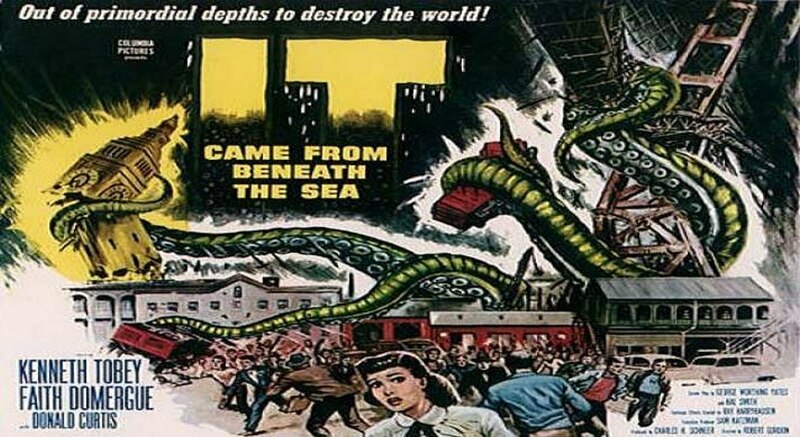 Even as far as the beach films go this may have been one of the weaker ones. The songs weren’t catchy either. These characters can’t really sing so they weren’t helping their case here. Even the supernatural elements don’t really add to the film’s intrigue. The giant bird that follows Dee Dee around doesn’t really do much beyond yelling all the time. It somehow works to annoy Ricky most of the time, but he’s just easily irritated. I’d have liked the witch doctor to take a more active role as instead all of his scenes are basically the same gag of him trying to drink some rockets. You can’t keep on using the same gimmick over and over again while expecting it to still be humorous. After a while you’ll just be ready to roll your eyes at the whole thing. Overall, I’d suggest sticking away from this film. Odds are that the title would already be a pretty big red flag though. I have yet to see a really good beach film and that certainly won’t occur within this franchise. There’s just way too much fanservice and no likable characters. All of them are either not trust worthy or have some kind of agenda. At most the president of the company here was decent and even then he doesn’t really get to do anything. If you’re looking for a good water adventure film then you should watch Aquaman instead. At least that film has good action scenes and the characters rarely spend any actual time at the beach. That’s a winning formula. For this film, the only positive thing you can say about it aside from the fight scene is that it’s short. At least you won’t have to be watching the events unfold for very long. It’s time to look at DC’s latest venture into the cinema. They’ve definitely had a rocky road critically although things have started to look up for them lately. Meanwhile, they’ve mostly ranged from excellent to great for me with the exception of a few films. This one’s pretty good. It’s better than Suicide Squad and Wonder Woman, but certainly not as good as the titles with Batman and Superman. Shazam will definitely be a good addition to the next Justice League film though with the powers that he brings to the table. The film starts off by introducing us to Dr. Sivana and why he ends up turning to the path of darkness. Then we see Billy who ended up getting lost from his mother at an early age. He’s bounced from home to home since then and has finally made it to a foster home which is effectively his last chance. The kids there try to make him feel welcome, but until he sees his mother again he can’t find any closure. Making things more complicated is the fact that he was chosen by a wizard to be the legendary Shazam. He has exceptional powers now, but doesn’t know what to do with them. Can he figure this out before Silvana takes him down? Lets start with the positives here. DC’s always had a real knack for fight scenes and the battles between Silvana and Shazam show this. I still like how they portray super speed. Shazam mostly focuses on his flight and strength to win the day but the film is sure to let you know that he’s got speed when necessary. They throw each other through buildings and you can feel the power behind the hits. There’s enough of a difference in scale so you know he’s not quite Superman level but otherwise you could make a case for him being the strongest Justice League member. Seeing the characters fly around and trade blows is always pretty hype. The film also has some fun taking shots at classic film cliches. There’s a moment where Silvana is trying to make a big speech and Shazam can’t hear him because they’re pretty far away. Usually the hero can conveniently hear the villain in moments like this so that was pretty nice. In general the writing is pretty decent. It’s not amazing or anything, but it gets the job done. 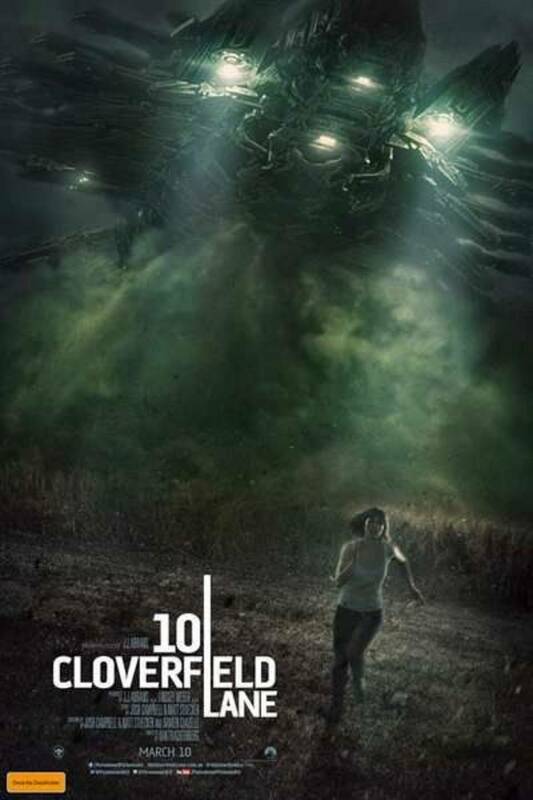 More impressive than the script is the fact that the supporting character cast is pretty solid. We’ve got the foster parents who are really tolerant of Billy’s rebellious acts without being pushovers. They do give him a talk after he continues to be defiant, but they never go over the edge. They were foster kids at one point themselves so they do understand the situation quite well. They’re clearly very nice people and they do a great job of getting him situated right away. He honestly couldn’t ask for better foster parents, but of course that is what ends up making him a bit annoying at times. The other kids are also pretty nice for the most part. Darla is a very sincere character who is always looking at the bright side of things. She’s taken a bad situation and done her best to spin it into a good one. Freddy may not be the most sociable guy out there, but he does try hard to do his part in welcoming Billy. His style of humor may take a bit of getting used to, but he’s a good character and one who certainly does know a lot about heroes. He has to put up with the most from all of the kids since he has trouble walking and is constantly bullied so the fact that he hasn’t become jaded yet is impressive. The other kids don’t get a whole lot to do but are pretty good for the most part. The quiet kid is probably the only one who doesn’t really get any big moments and as a result never gets to grow on you. Silvana is also a strong villain. The fact that he spent his life trying to learn how to find the Wizard and never losing sight of his goal is quite impressive. That level of determination/obsession is usually relegated to main character status. Villains who are able to keep this level of focus usually end up being a success. He definitely came close to fulfilling his goals and was a good pick for Shazam’s first big villain. In comparison the 7 Deadly Sins aren’t quite as impressive as they’re mainly just here to provide us with more action. Certainly not a bad thing and that may be comic accurate as I don’t remember them too well from there but I’d have liked them to have gotten a bit more character and screen time. The film’s also got a pretty nice set of animations for the credits. That’s not an aspect that I usually even bother mentioning, but I appreciated the effort here. 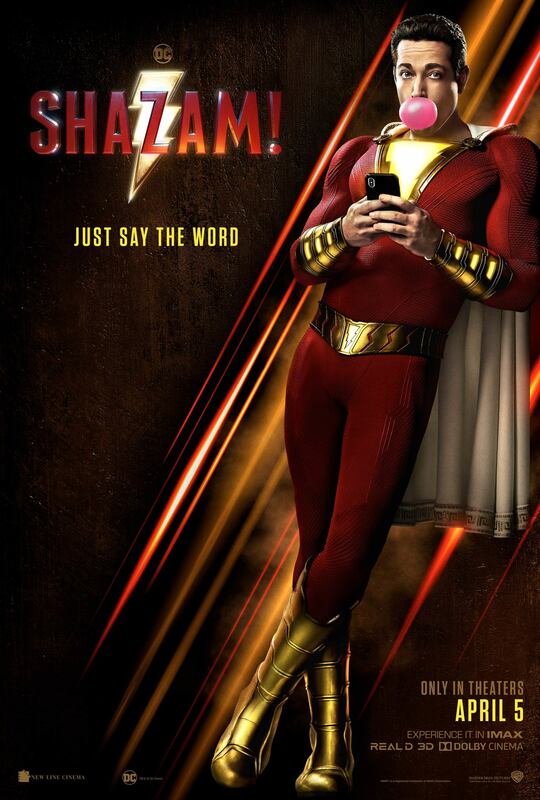 The more overconfident Shazam portrayal there was definitely humorous and I liked the design. Then we’ve also got the two post credit scenes. The first one is the serious sequel stinger while the second is a comedy moment. Both are pretty solid and succeed at their objectives. The regular ending to the film is also pretty great. So the film definitely did have a lot going for it. Shazam also does give us a pretty decent blend of humor and serious moments. The scene of Sivana cornering the board and showing off his monsters for the first time is definitely pretty intense. I’ll also give some credit to one of the women who actually tried running while everyone was just standing around waiting to get murdered. Pretty much any moment with the villains is handled pretty seriously while any scene with Shazam is comedic. 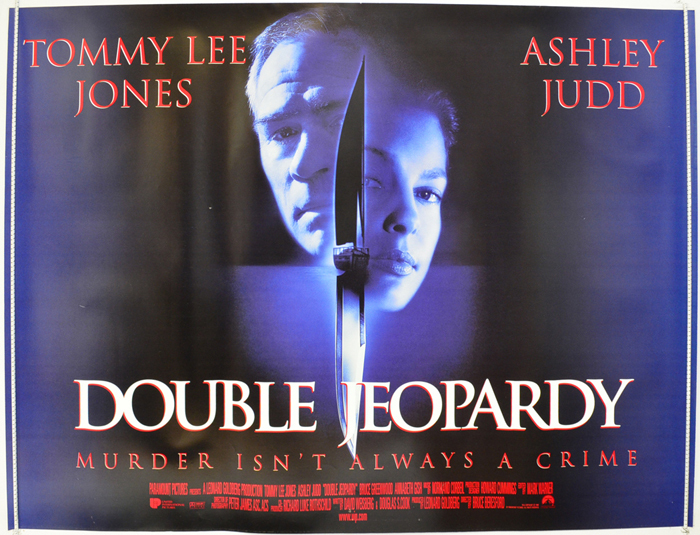 Typically the film keeps the parallel well which is always difficult. It could have probably laid off the jokes a bit at times, but they’re not bad for the most part so they don’t really take away from the experience. Now the negatives or more precisely, what the film was weak at. It didn’t make any huge mistakes that would cost it a lot of points, but are factors that keep it from a higher score. First off is Billy. He can be pretty annoying, mainly because you just can’t trust him. He lets Freddy down after the kid was counting on him and as a result he gets bullied even more. Even if Billy wasn’t happy to have been put on the spot like that, just leaving him to get beaten was a really bad moment. Honestly, that was his worst scene if you ask me. Prior to that even if he had a bad attitude at least he would reluctantly stick up for Freddy and the others. You can portray Billy as a very optimistic “Golly” character from the old days or the very edgy rebellious version from the modern day, but this film does neither. It just makes him a character with a sour attitude who is basically a coward. He spends the vast majority of the film running away from every obstacle and challenge in his way. By the time he finally mans up the film is over. After Shazam runs away and abandons everyone for like the 5th time you’ll have had enough of the character. He just doesn’t feel like a hero. It’s part of his character development of course, but I can’t remember a time I’ve seen a hero be this afraid of combat and constantly running. Typically when you obtain super powers you either embrace it and jump right into action (Dr. Strange, Captain America) or you don’t engage the fight but quickly do what you need to in order to survive but I can’t think of a time a main hero just abandoned everyone to die. I have no doubt that Shazam will be better in the sequel, but in this film I have to say that he was a bad character. You can’t just let bullies mess with your family and look the other way. That’s not gonna fly. The climax is also surprisingly a little unexciting despite the fact that by all accounts it should have been excellent. I can’t really say much about the climax at all so as to avoid all possible spoilers, but it’s not as good as the early fight scene from early on in the film. Maybe it’s because the villains can’t really fight or because the hero can be so slow on the uptake. We get quite a few scenes of “I can do this?” moments where it gets old pretty quick. The visuals are still pretty good of course, but I think focusing more on Shazam vs Sivana would have helped more. This isn’t really a negative as the climax is still good, but I couldn’t help but feel it was missing something. I might also blame this on Shazam still being dominated even in the final climax. Shazam also goes for a bit of an emotional aspect during the movie. Mainly this is dealing with Billy’s past and present as he tries to move on. It doesn’t work too well though so some of these drama moments just end up failing. Particularly the plot with the mother as it goes exactly the way you would expect and by this point you’re probably super fed up with Billy. It just feels like he didn’t really think any of this through. When it comes to personal relationships like this it’s naturally easier said than done, but it would have been better if he could have been searching for her without just ditching everyone constantly. It slows down the pacing of the film so it’s not quite as 24/7 engaging as the other films. For example, I’d say that Aquaman was more consistent with bringing in exciting scenes over and over. Overall, Shazam is definitely a pretty good film. It’s not a great film and that may seem bad in an age where the superhero films have been hitting it out of the park so well, but not every film can be a grand slam. It’s not even a film that was just barely positive, it’s one that is all around a solid title. I’d say there’s reasonable replay value here. Most of the jokes are quick references or moments that don’t require a lot of build up so they will hold up on a re-watch. There’s no animal violence to be found here or any moment that will really make you shake your head. It’s just a good film that will keep your attention throughout. If you haven’t checked this film out yet then I’d recommend doing so. It’s not really connected to the rest so you don’t have to watch a prior DC film to get into this one. You can just dive in and enjoy it. It’s time to look at the second Airplane film. The first one was surprisingly good with how many of the jokes landed. In a way you could argue that by all accounts it shouldn’t have worked. The writing had to be on point to pull it off. Parodies in general are hard to land for that reason because if the writers aren’t excellent then it’ll fall to pieces. 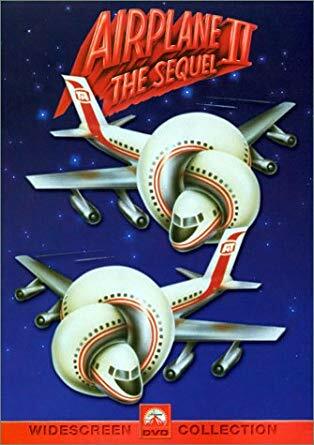 Unfortunately Airplane II is a pretty steep drop and effectively plays out a bit like how the first one could have been if it wasn’t firing on all cylinders. Airplane II is content to reuse all of the jokes from the first film and never finds its own identity. After the events of the first film, Ted has been taken to an asylum for the insane. He manages to break out though and sneaks aboard another airplane that is heading to the Moon. Most of the same crew from the first airplane are back so somehow they all weren’t arrested for what happened. Ted is determined to finally get back with Elaine, but she doesn’t think it is meant to be. With everyone going crazy on the airplane, can anyone survive this time? One thing’s for sure, they won’t forget this experience! Right away you’ll notice how the film is a carbon copy of the first. Not only do they reuse almost all of the gags, but they even have them all appear in the same order. Most of the events are just like the first film including the plot. This may be part of the parody elements that they are using for the film but it really doesn’t work. What made the first film a success was its risque humor that attacked everything but as a result managed to not be taking itself too seriously. It had the potential to be problematic and naturally not all of the jokes landed, but it was pretty reasonable. The film was funny and miraculously managed to be a success. This one isn’t nearly as funny because we’ve seen it all already. If you already know all of the punchlines to the jokes, then the build up will naturally not be anywhere near as effective. That’s the problem that this film has throughout its entire run. There are a handful of decent moments like the Hal 9000 parody and I did like the court case for Ted. Those are the only unique parts of the film and they were good so I feel like the movie would have done a lot better if it had focused on being a sequel. Honestly I wouldn’t have minded if the whole film was in the court room. A change in scenery probably would have been good. We also lose some pretty decent characters like the air pilot who stepped in when everyone else was panicking. An underused character is definitely Ted’s rival. The guy barely gets to appear or really do anything to be honest. It could have been interesting to have a contrast to Ted. A character who was actually pretty competent and tough or something like that. After all, Ted had a lot of potential here. I don’t think it’s a coincidence that most of his scenes are the entertaining ones. He’s a very exaggerated character who isn’t very smart which makes for a pretty fun dynamic. Again, I refer you to the court scenes. So seeing him compete with this guy could have been very entertaining to be honest. Again, it’s not that the film was a complete bore or anything. The jokes that were good in the first film are still pretty decent just played out. Some gags are still fun like the weapons getting through the scanner and the people dying after listening to Ted. Then others that were already painful like the pilot’s gimmick didn’t get any better. They say that lightning doesn’t strike twice and this is the perfect example of that in film. I feel like this review is going in circles so time to start wrapping things up. I will say that the Star Wars homage at the beginning was pretty clever. It does end in a pretty iffy way which sort of set the tone for the rest of the film but the actual idea itself wasn’t half bad. The graphics aren’t half bad when they show up but for the most part are complete non factors. This isn’t the kind of film with a whole lot of effects after all. Just the few space visuals is what you can expect to get. Overall, Airplane II isn’t a good follow up to the first film. I think it probably would have been a lot better if I hadn’t seen the first film. If you see the two out of order then there’s a chance it would work better, but then of course it would be at the expense of the first film and I’m not sure if you really want to do that. It’s why complete word for word remakes typically aren’t done anymore. If you’re gonna experience the same story then you want a bunch of new wrinkles in the mix. This one just doesn’t add enough of them and ends up failing. It can still be decently entertaining of course, but it’s nowhere near the level of quality that the first film had. It’s time to look at a story from below the pail. I’m afraid that this film lives up to its reputation and just isn’t very good. There’s a lot of constant crude humor here and the kids look so bad that it makes the film hard to watch. Throw in a long run time and a poorly handled romance and you’ve got yourself a recipe for disaster. There really isn’t much redeemable in this film. The film starts with Dodger getting bullied by Juice and the gang. He heads back to the magic store where he works part time. It’s led by a magician known as Manzini who has led a relatively quiet life as of late. He wants to keep it that way and warns Dodger not to let the Garbage Pail kids out. Unfortunately the bullies show up again though and beat Dodger up. While this is happening the pail falls down and the kids are set free. They save Dodger from certain death and he decides to enlist their help in impressing Tangerine. They agree to help, but warn Dodger that this may not be a good thing. So begins their tentative alliance. You’ll definitely be asking yourself quite a few questions here. For starters, the Pail Kids seem almost too nice. Keep in mind that they were being held in the Pail against their will for many years. You’d expect them to hold some kind of grudge or something right? Nah, they don’t really seem to care much. Manzini very openly talks about how he’s going to stuff them back inside and they’re fine with it. Sure, the outside world is dangerous, but judging from how the kids constantly want to break out you can tell that they’re okay with this. The kids also seem like public knowledge to an extent as there is a whole prison just for them. This plot actually gets pretty dark at times as we find out that the kids are crushed. Maybe that’s how they are turned into cards. Either way it’s hard to like any of the kids though as they just can’t help but do a crude humor joke whenever they appear. None of them have any self control either and aren’t very smart. There are no good qualities left for them so by this point they’re simply doomed. With a main cast like this there is just no way that the film can recover. Dodger also isn’t a good character as he keeps trying to go after Tangerine even when it’s clear that she couldn’t be less interested. She’s using him and isn’t even that subtle about it. He’s also quick to lie to impress her and we can’t forget that Tangerine is already with someone. Dodger just never had a chance and was deluding himself. Tangerine is with the bullies from the start so that should clue you in as to what kind of character she is. I’d definitely give her a thumbs down here and the rest are just as bad. After all, the leader (Juice) gets a kick out of beating up a little kid. Not exactly the hallmark of a good character right? The only good character would be Manzini and even then that’s mainly just in comparison to everyone else. He has some pretty good lines like when he explains that he always marches forward instead of retreating. He also lands a good combo near the end. For the most part he does get beat up the whole time though. As I mentioned early on, the film is quite long which doesn’t help either. It’s nearly two hours and you don’t want to be hanging around the Garbage Pail Kids for that long. They can’t hold their own movie so what are they possibly going to do for 2 hours? Nothing good, that’s for sure. 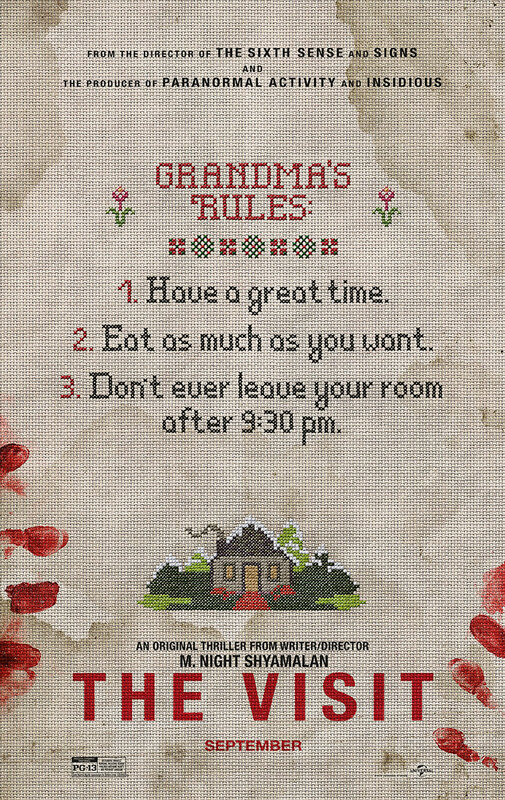 The writing definitely gets a hard thumbs down because the film doesn’t make sense and it isn’t entertaining. We only get a few decent lines throughout the entire movie. The romance is pretty terrible since it’s obvious from the start that it won’t work out due to the age difference and the fact that Tangerine is one of the villains. There are no big twists or interesting moments to save the film either. For one last logistical thing as well, lets look at a scene midway through the film. Dodger gets a ride with Tangerine to a fashion show. They start driving during the day and don’t arrive on the scene until it’s well past dark. As they are getting ready to head home Juice shows up so Dodger hides while they drive away. He then walks home……somehow. Think about how long the journey would be if the drive was many hours long by car. He would be walking for over a day at least and the kid isn’t very old. Maybe I’ll be optimistic and assume someone ended up driving him home, but personally I’m thinking this is just one of those logic moments that the film didn’t really think through. After all, the audience probably wouldn’t be focused enough to notice by this point anyway so it was a low pressure moment for the writers. Overall, The Garbage Pail Kids is definitely not a film that you are gonna want to check out. It’s just pretty bad. It’s only PG so it’s not like the film throws in animal violence or anything like that, but in a way this speaks volumes on how bad the film is. After all, if it can get such a low score without those factors, well you can imagine how dicey things can get here. The only even slightly good thing about the film is the soundtrack which is admittedly pretty good. Still, if you haven’t seen this film yet then there’s no need to change that. Don’t let curiosity get the better of you as the film isn’t even bad in an entertaining way. It’s just not a good title and I can’t honestly see how the franchise ever got big in the first place. It’s definitely been a while since I’ve seen a Spanish film. I don’t really know the language after all, but at the same time if you think about it, watching a Spanish film subbed is just like watching a Japanese one. So, I’m pretty experienced with the subtitle format. If anything, one part about the Spanish experience that is even more enjoyable is that I do know a decent amount of the words so I can see when the translation would be rather loose. Stringing the words together into sentences is the much tougher part. 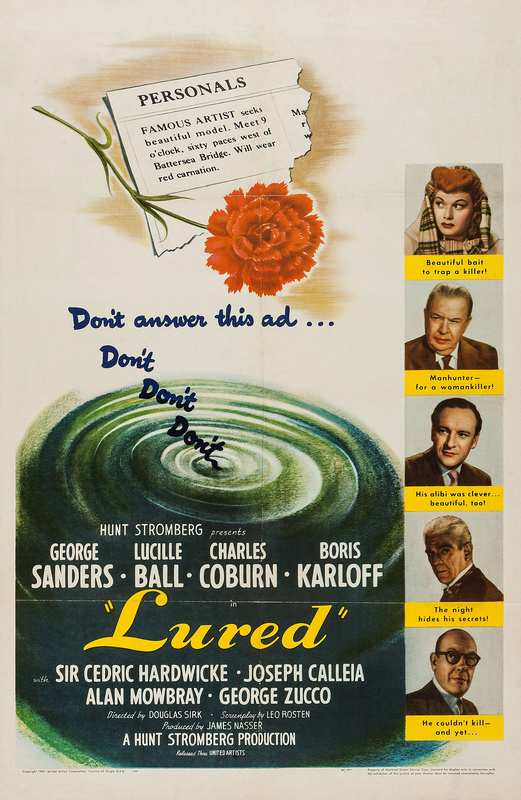 This film is actually a pretty decent romance title all things considered and that in itself was a bit surprising. Of course, the weakest part of this romance film is the romance itself so it’s almost a technicality. The film opens with the main characters Maria and Juan driving a car down the highway. They end up bumping into an oncoming cyclist and murder the poor guy. Both of them then head back to their lives and hope that it does not catch up to them. Unfortunately, one guy named Rafa seems to have witnessed this. He starts to blackmail Maria while Juan’s conscience also starts to put him in a lot of bad spots. Who will be the one to stop these murderers? Naturally the writing is pretty solid here. All of the characters are pretty eloquent and there is even a bit of humor thrown into the script although for the most part this is a very serious film. The pacing is on point as well and the characters are well defined. You’ll understand their personalities and character quits early on. It is worth noting though that the main character is about as smart as a brick. Juan basically walks into every problem. Of course first we have him being an accomplice to murder. The man had a chance to save this biker but chose not to in order to protect himself, that was Juan’s first mistake and that is a huge one to start off with. After that he goes on to let the pressure get to him during his gig as a professor and fails one of his students for no reason. Juan apologizes but insists that there is nothing that can be done. This excuse doesn’t hold water and the students know this. That leads to one of the best parts as the students rise up to take him down. It’s a mistake that I was worried would not come back to bite him so when it did I was certainly thrilled. He still didn’t get a harsh enough punishment there but it was a start. The scenes with him and the student weren’t nearly as good. She seems way too forgiving considering that he failed her and they seem to become friends anyway. Definitely not where I thought the plot would go and it didn’t really make sense. Finally, Juan makes his last mistake towards the end of the film. By now he knows how the other characters are and should understand the situation. He’s been taken to an abandoned area where someone was previously murdered and opts to give his back to someone in the murder weapon. 2 guesses on how that would play out right? It’s just not a smart move…not a smart move at all. Of course this character never was the smartest one in the movie. Then we have the heroine who is far less remorseful about the whole endeavor. Maria is always looking out for herself as she wants to be rich while also having her affair. Neither power or riches are allowed to be sacrificed so if there are complications with the affair that put those at risk then Maria is ready to do what she must. In a way she is more genuine as a villain since she only cares about herself. She’s a fun villain but definitely one you don’t want to trust. Rafa is another big villain and he’s definitely a very clever one. Of course once you have blackmail ammo at your side it’s hard to lose. He really puts the main characters through the ringer here. Then you have Miguel who is the rich husband of Maria. He gets an interesting character arc. Definitely not the smartest character at times although in his defense you would expect the wife to be faithful so it’s not like he should have been suspecting her from the start. His final decisions are a bit odd, but he does like thinking about his stature quite a lot. As I mentioned, the film’s weakness is the romance though. As the characters are cheating you naturally can’t root for them. No matter how genuine they try to make the romance you can’t forget this so you’re rooting against the main characters from the start. There’s just nothing they can do to salvage this. Also, the romance between the two seems fake as they constantly doubt whether it’s real. If even the characters aren’t sure then how could we be? 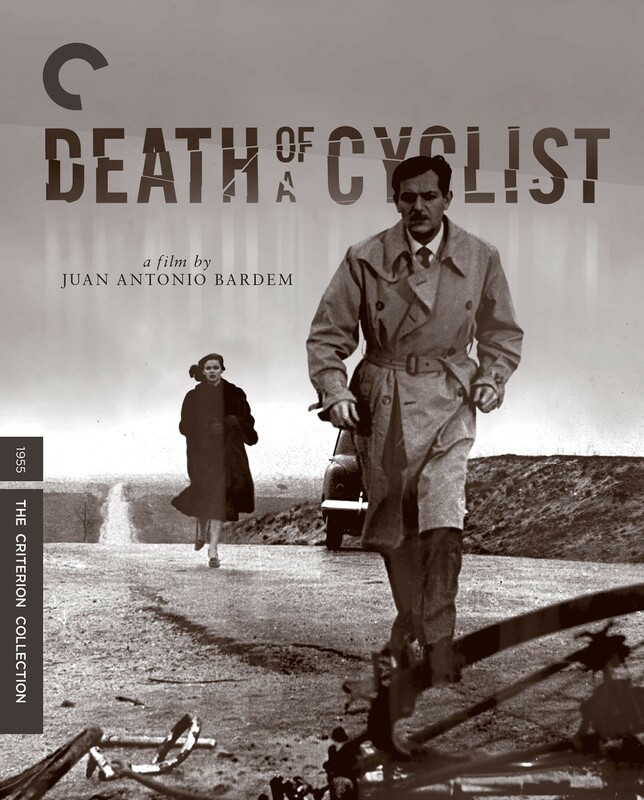 Overall, The Death of a Cyclist was a pretty sound film. It had good writing and the tension throughout the film is pretty good. Of course, you’re rooting against the leads the whole time so you may have a different experience than someone who is rooting for them. It makes the character internal struggle scenes drag on a bit since I at least didn’t feel any real sympathy for them. I just felt bad for the cyclist from the firs scene. If you’re going to check out a Spanish film then this is definitely the best one to start with I’d say. The title also makes sense very early on in the film which is pretty cool. The ending may be a bit dicey as Juan looks super bad but for the most part it’s definitely a classic ending type based on the intro.